Over the last several years the reverse mortgage has caught the attention of retirees looking for an income. At face value, it seems like a good idea. It also seems really simple: You get access to the equity in your home and the bank makes a mortgage payment to you. If that doesn’t make sense, keep reading. It gets worse. A reverse mortgage can have detrimental effects at a time in life those seeking it can’t afford bad luck. 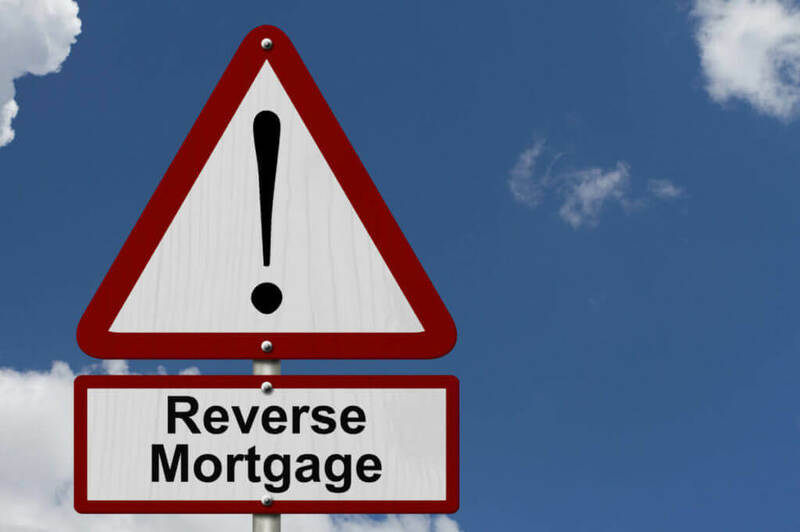 There are 5 main reasons a reverse mortgage should be avoided at all costs. Most people don’t know this type of income stream is actually a loan against your home’s equity that has to be paid back. Since a reverse mortgage is actually a loan, expect to have loan-related fees. How is it a loan? Because a reverse mortgage is actually a home equity loan, usually the lender has income or credit score to lessen risk. Because the borrower is retired this type of loan, isn’t based on income verification or credit score. What this means is the lender must assume additional risks, and some of those risks must be offset by charging higher fees. Expect that with a reverse mortgage your interest rates will often be higher than that of a traditional home equity loan. Add this to the high fees you’ll be paying and you will be surprised how much of your equity the bank gets to pocket. Many people expect that their heirs will get the house when they pass on, but in the case of a reverse mortgage, this might not happen. When you get a reverse mortgage, you aren’t expected to make payments on the loan. The home is supposed to be sold so that it can cover the loan amount. This means your house doesn’t go to your estate. Your kids can’t have the house. Of course it is possible for your heirs to keep the house if after you die, they pay the reverse mortgage debt. In most cases the money has to come out of the estate, reducing the total assets that your heirs end up with. In order to avoid making payments on the loan, you have to spend most of your time in your primary residence. If you haven’t lived in the home for a year, you’re considered to have moved out. If you go into long-term care and plan to come back home, someone had better make sure you’re gone less than 12 months or else you’ll be required to repay the loan. Imagine having to start repaying your reverse mortgage at a time when money is probably already tight. Doesn’t sound so good any more, does it? Yes, hang onto the check book. There are still certain costs you’ll have to pay. For instance, you still have to pay property taxes and keep up with your homeowners insurance. You’ll also need to pay for regular maintenance on your home. For someone hoping to leave an inheritance to family, a reverse mortgage can be a real disadvantage. Your best option is to sell your home outright and use the equity to fund your retirement in a modest home. Talk to an attorney about a living trust and your legacy will be protected.Imagine having to start repaying your reverse mortgage at a time when money is probably already tight. Doesn’t sound so good any more, does it?